Happy Literary Friday, My Lovelies! 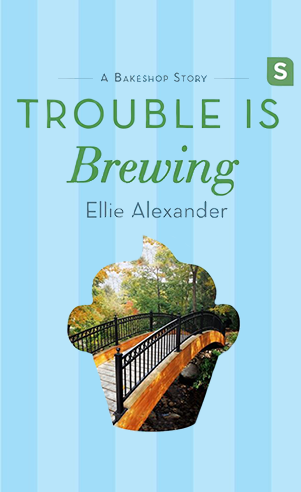 Today I want to share the first two books in a new cozy mystery series by Ellie Alexander. I've read many of the books in her Bakeshop Mystery Series, and I'm enjoying the Sloane Krause Mystery Series so very much! 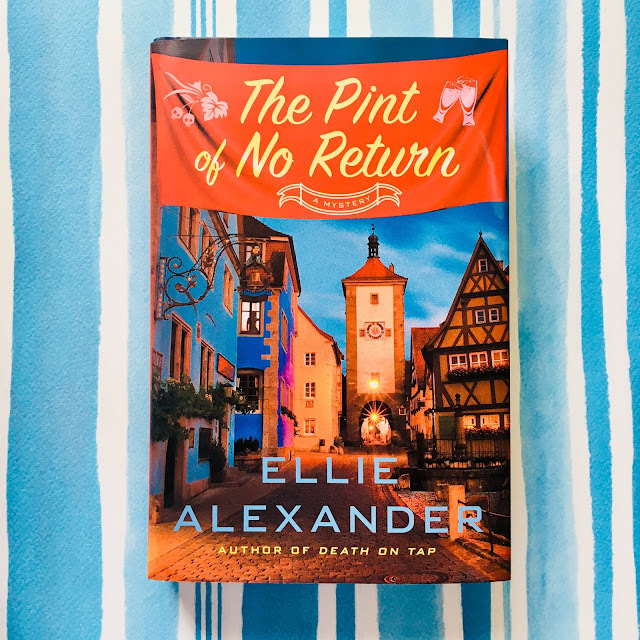 First of all, there's a story that features both Jules Capshaw, owner of the charming bakeshop Torte and main character in the Bakeshop Mysteries, and Sloan Krause, who’s in from out of town for the beer festival that has landed in Ashland, Oregon. Sloan is the brewmaster at the famed Der Keller brewing company that operates out of Leavenworth, Washington, and she’s come to the festival to show off the newest spring brew. When Sloan drops in to Torte for a pistachio bar and a latte, she meets Jules, who is interested in the idea of adding beer to some of her baked goods. Jules and Sloan become instant friends, and when they both head out to sample Sloan's beer, they discover that one of the kegs is missing. This is a cute introduction to the Sloane Krause Mystery Series, and it's only available on Kindle or Nook. I got it for my Nook app on my iPad. The first thing I love about this book is the setting. Leavenworth, Washington is a quaint "alpine village" that's German-themed. It reminds me of Helen, Georgia, and I imagine it as a picture-perfect Hallmark Christmas movie town. The second thing I love is Sloane's character. She has such a big heart, and she's the sweetest mama to her son, Alex. She's also the best in-law to her husband's family, and they are the first family she's ever known because she grew-up in foster care. This is why her husband Mac's infidelity is such a tremendous blow to her. I enjoyed the mystery in this book because there are several colorful characters who could have been the murderer. Sloane's new boss at Nitro, Garrett, is a little bit of an enigma, and there's definitely chemistry between Sloane and Garrett, but she would never act on it because she's still married to Mac. Also, Alexander did her research because she's well-versed on the brewing process. I learned a lot about it, and I found it interesting even though I don't drink beer. This series is going to be so good, and I might end up liking it better than Alexander's Bake Shop Mysteries. This is one of my favorite cozy mysteries ever, and that's saying a lot because I've read many of them! Like the previous installment, this one has plenty of suspects with possible motives because the victim is not very delightful. And I love the premise: a documentary chronicling micro and nano breweries and women brewmasters. The producer quickly sees a gem in Sloane: She is beautiful, and the camera loves her. It's an added bonus that she knows her way around a brewery! This mystery has more layers than the first installment, and I enjoyed considering all the suspects and their possible motives. Plus Leavenworth's Octoberfest atmosphere with the thousands of tourists made the mood seem festive and oppressive at the same time. I also liked the tension growing between Garrett and Sloane: they are a great team, and their creativity fits together nicely. It's obvious that they're attracted to each other, and I really want Sloane to be happy and free from that obnoxious Mac! This is the perfect cozy mystery for autumn. I highly recommend it! 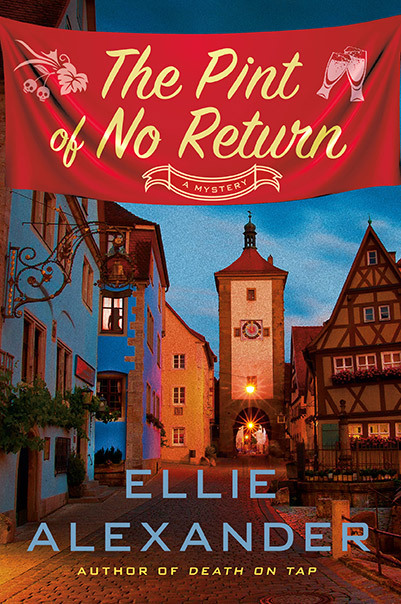 I received a copy of Pint of No Return from the publisher, Minotaur Books. I would like to thank them for the opportunity to read it in exchange for a fair and honest review. 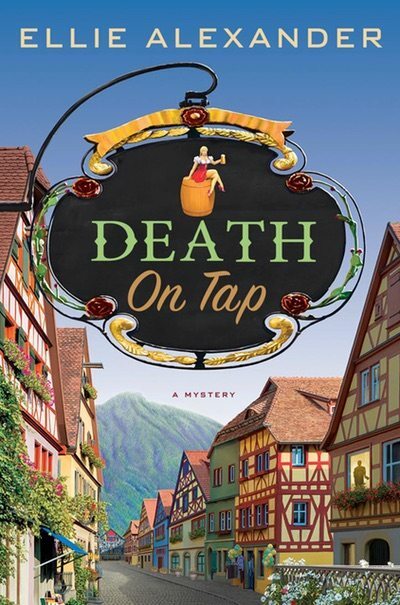 I liked it so much I purchased the first one in the series, Death on Tap, because I wanted to read more about Sloane's backstory. Come back tomorrow for a round-up of other fall-themed cozy mysteries! I love a good mystery! I've added these to my "I want to read" list. Looks like some good cozy reads. Enjoy your weekend, Ricki Jill. Sounds like the perfect book for Octoberfest! Do you have to read Death on Tap before Pint of No Return? I love quirky mysteries like this!